It’s been a while since I last tested the Ram 1500 pickup and in that time little has changed. 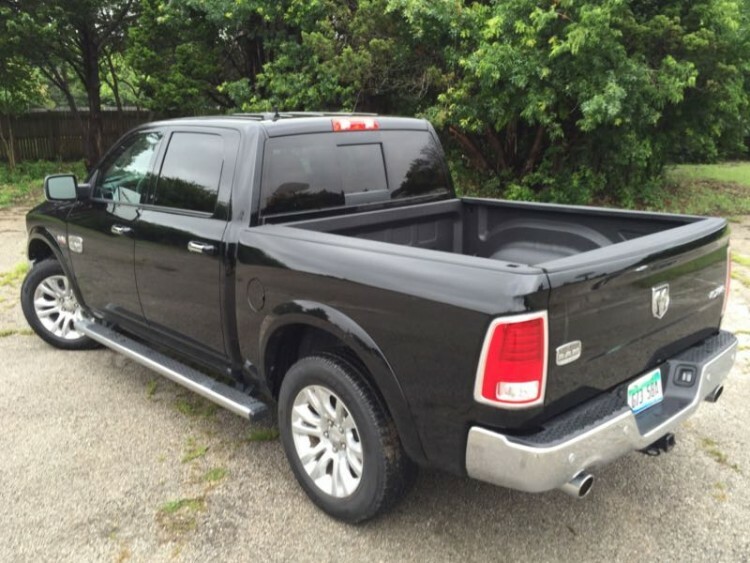 The Ram light duty trucks received serious enhancements back then and for 2015 there are only a couple of things to talk about as being new over that last article. This time around we tested the Laramie Longhorn Crew Cab 4×4. 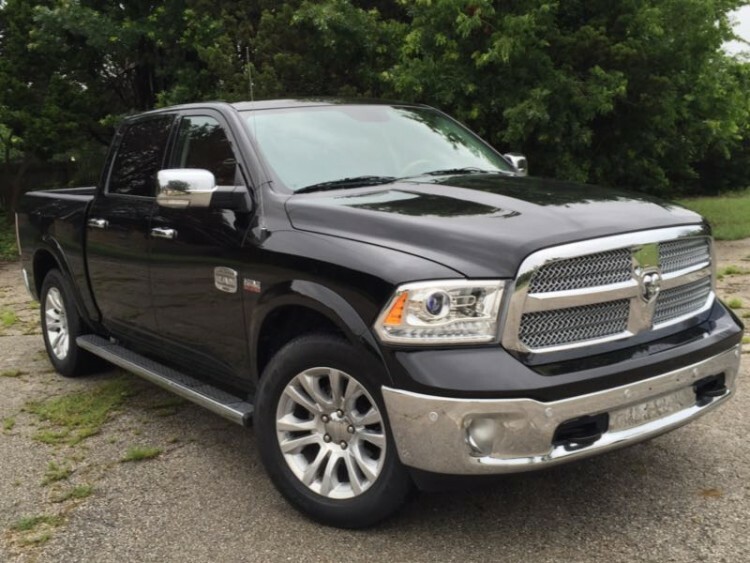 To bring you up to speed, Ram is the truck and commercial division for Fiat Chrysler Automobiles and once upon a time these trucks used to be called Dodge Rams. Now it is simply Ram and the 1500 is the best-seller of the bunch (as is the case with Detroit’s other two big automakers). The Ram 1500 features a unique coil spring suspension in the rear where Chevy and Ford still opt for traditional leaf springs. 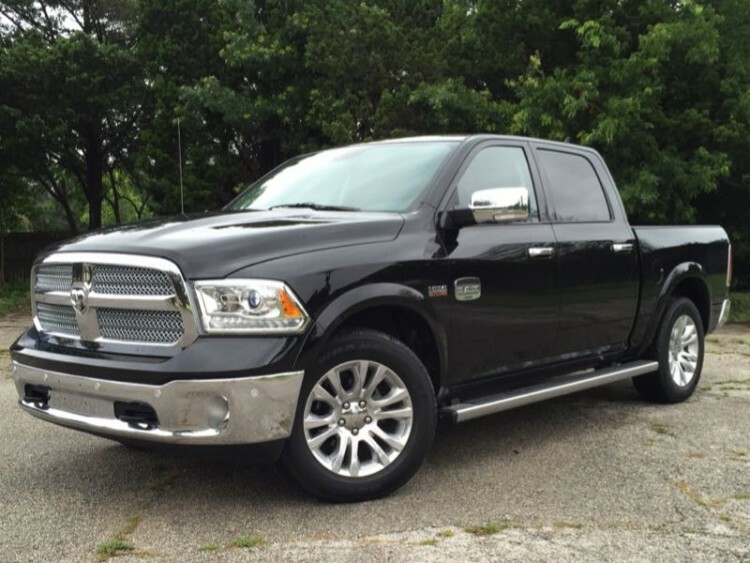 The Ram 1500 is offered with choice of 3.6-liter V-6 Pentastar engine or 395hp 5.7-liter V-8 HEMI. Our recent tester arrived with the latter backed by the eight-speed automatic gearbox with a shifter knob on the dashboard. 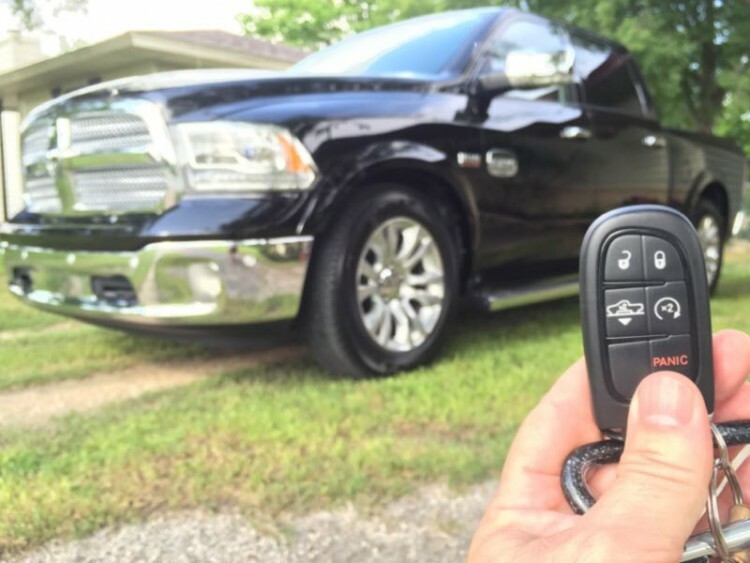 One of the cool new features on the Ram 1500 is the 4-Corner Air Suspension system that can be lowered by the press of a button on the keyfob for easier loading (and performing this function was a hit with the grandkids). The air suspension system also helps keep the truck stable and level at all times under ever-changing conditions. Also underneath this Ram tester was 4×4 running gear and anti-spin rear differential with 3.92 axle ratio. And Ram now offers a factory trailer brake controller. This gorgeous tester arrived in the Laramie Longhorn edition, Ram’s competitive package for the King Ranch over at Ford. 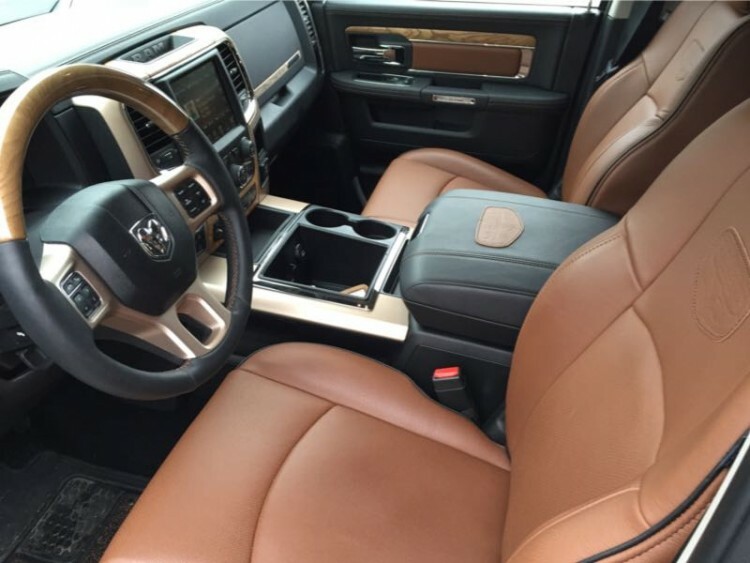 This interior enhancement adds a western flair to the leather and trim and in recent years Ram has upgraded this styling and removed some of the “frilly” stitching that yours truly had been a bit critical of. This truck is gorgeous and is on my wife’s short list if she were to choose a pickup for her next vehicle. Technology has been upgraded to include the latest offerings from FCA and its Uconnect infotainment system. It includes integrated voice command and Bluetooth connectivity along with a large 8.4-inch color touchscreen display. There is also Keyless Enter ‘n Go, remote and pushbutton start, ParkView rear backup camera, ParkSense front and rear part assist system, and a 9-speaker premium audio system with subwoofer. The steering wheel is heated and so are the rear seats while front seats feature heating and ventilation. A convenient safety feature has the tailgate lock along with the truck doors. 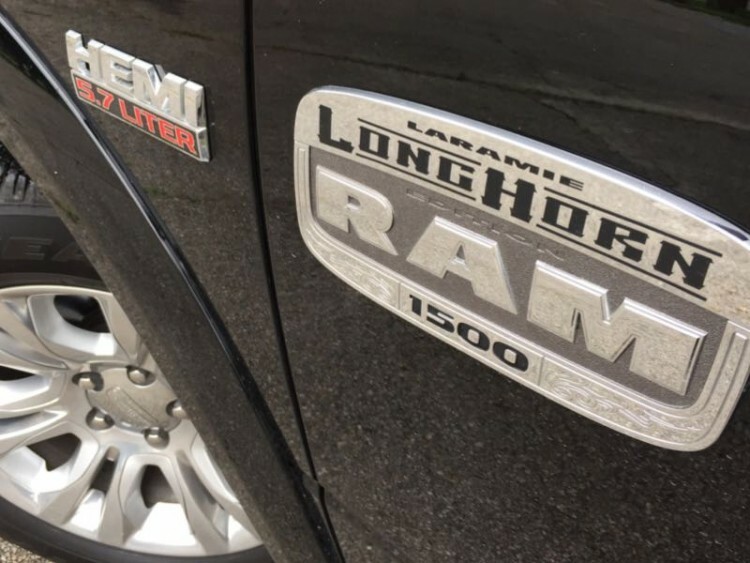 Pricing for the 2015 Ram 1500 Laramie Longhorn (ours arrived in Crew Cab 4×4 format) begins at $50,080 with this loaded tester coming to a final sticker of $54,820. EPA ratings for this powertrain are 15 mpg city and 21 mpg highway. Active grille shutters and a few power management functions aid in the truck’s fuel efficiency. On the road this truck is great. It rides smooth and stable and oh so quietly. Moving the gear shifter to a knob on the dash takes a bit getting used to but it really opens up the center console area for other storage options. Wheel-to-wheel running boards combined with the adjustable air suspension make loading and unloading of passengers and cargo very convenient. Ram is a great choice for those looking for a pickup, especially if you don’t wish to get embroiled in the never-ending Chevy vs. Ford feud.